NPR’s “On the Media” did a short segment this past Sunday morning on the names given to military actions. 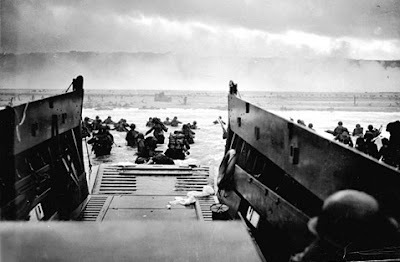 Did you know the invasion of Normandy was called “Overlord” and that a few weeks before it happened a crossword appeared in an American paper with the words “Overlord,” “Utah” and “Omaha”? Did you know that naming an operation after the god Wotan, which the Germans did, furnished important information, since that particular god has one eye? Or that the Germans naming their Russian offensive Barbarossa was a form of narcissistic megalomania that enabled the Russians to administer a humiliating defeat? Geoffrey Nunberg, a linguist at the University of California at Berkeley School of Information, went on to delve into the significance of nomenclature. “Desert Storm” was the first time an operation was also the name of an entire war. “Mission Impossible,” a fictional operation and the name of a TV series and a movie franchise, has a modifier following a noun, and “Odyssey Dawn,” the current Libya operation, sounds like a cruise ship and is a little disconcerting to the extent that Odysseus wandered for ten years before reaching home. Listening to “On the Media,” one couldn’t help wondering what secret name the Republicans are using for their operation to deprive Public Radio of funding. Could it be “Lady Gag Order,” to invoke the title of a recent Screaming Pope blog post? This would be the perfect combination. Lady Gaga is a cultural icon who will continue to dominate the airwaves whether public radio exists or not, and her name contains the root word “gag,” which is what the Republicans are out to do. Or how about simply calling it “Operation Petty Bourgeoisie”?